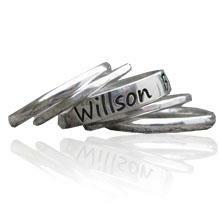 Quality set of five rings with the middle band engraved and personalised for you. Available in silver and 9ct gold please choose. 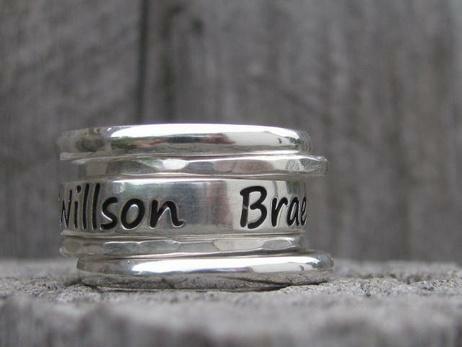 Dimensions: made to your size the whole stack is approx 11mm across. so a wide set. Custom made personalized items Manufacturing time is approx. 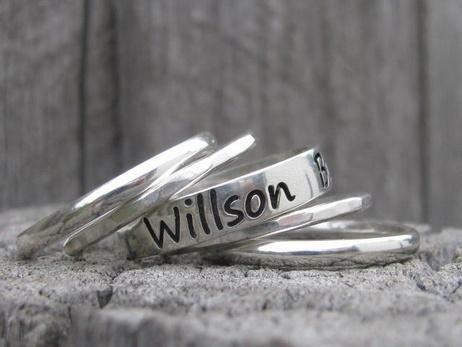 5-10 working days for personalized engraved items. If you need it earlier then this please contact us. Hi at the top of the website you can choose the currency you want to view product prices in. The drop down menu to choose currency is next to phone number . If you are using a mobile device you can also choose the currency you want. However if you cannot find these and you are located in australia the banks will charge in aussie dollars anyway.